Forty-eight years ago, UCLA Anderson launched the nation's first field-study program, Applied Management Research (AMR). Its 3,000+ clients have included Fortune 500 companies, nonprofits, microfinance institutions and startups. As a capstone experience of each and every Anderson MBA's journey, students choose teams of peers to embark on a 20-week project in one of three directions. In the Management Field Study (traditional AMR), students can partner with a top organization to solve a key strategic issue. The Business Creation Option gives entrepreneurs the chance to launch their companies while still in school. The Special Project Option allows teams to analyze a strategic issue facing an entire industry. HomeExchange.com, a home swapping organization, has been around a quarter of a century. Here's how five MBAs helped the company realize its unique potential in the age of Airbnb. Each year a number of AMR teams focus their efforts of advancing pro-social causes outside of the United States. 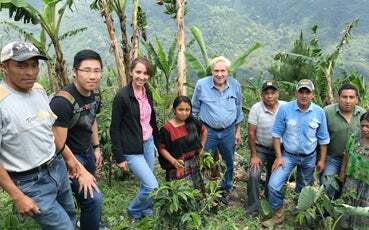 Whether evaluating new models for micro finance, improving foreign supply chain efficiency, or evaluating growth and expansion strategies, our global pro-social projects make a real, immediate and often profound impact. We encourage you to learn more about these unique projects and their outcomes.